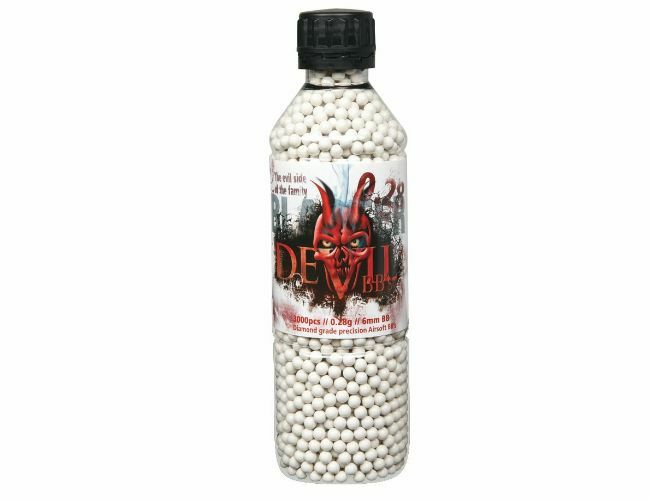 The BLASTER DEVIL are a brand of very high quality Precision Airsoft BB’s from ASG. All Blaster Devils go through a very strict checking process to ensure very high standards with tolerances of +/-0.01mm which is a tiny amount and is one hundredth of a mm. Devils are a Diamond grade precision BB. Comes in 3000 pcs per bottle. They are 0.28 g - For higher velocity rifle or sniper rifles with similar performance to 0.30 g.